WARNING: answering questions version 1.26 rather than the current 1.29. The module is needed for compilation. The module is used during runtime. Specification version 1.13 is required. The module is needed for compilation. The module is used during runtime. Specification version 9.12 is required. There is a way to enable mnemonics in popup menu items created via Actions factory methods in your own application build on top of NetBeans Platform. Just provide branding for org/openide/awt/Bundle.properties file and modify USE_MNEMONICS=always. Other possible values of this key include default, never or always. whenever such action is invoked. This message can then be consumed by enhanced UI logger that track what the user is going. Status text set in StatusDisplayer is by default shown in status line of NetBeans and is hidden after specified timeout. If not overriden by this property it is done after 5000ms. O means that the last text will be shown and not removed. If System.getProperty("org.openide.awt.ActionReference.completion") is specified, then the dedicated processor for ActionReference tries to load such class, casts it to Processor and asks it for additional completion items for its path attribute. By default, when running inside NetBeans IDE, apisupport.project registers such class and provides items representing valid paths in current project. Objects implementing ButtonActionConnector are looked up. Only the first instance found in the loookup is used to provide an alternative implementation of connection between Actions and GUI components. If there isn't one in the lookup the default implementation is used (it means there does not have to be one). Many action factories (alwaysEnabled, context and callback, etc.) are ready to be called directly from layer XML file. Answer: The org.openide.awt provides API/SPI for UI related aspects of application. API/SPI for UI related aspects of application. 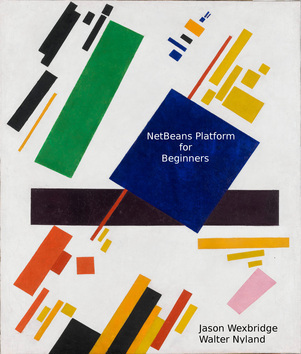 For general overview of the concepts of NetBeans action system and related UI elements, together with code samples, see chapter 5, of NetBeans Platform for Beginners by Jason Wexbridge and Walter Nyland. CommonAnnotationsAPI - The module is needed for compilation. The module is used during runtime. Specification version 1.13 is required. UtilitiesAPI - The module is needed for compilation. The module is used during runtime. Specification version 9.12 is required. Answer: Actions.factories - Many action factories (alwaysEnabled, context and callback, etc.) are ready to be called directly from layer XML file. whenever such action is invoked. This message can then be consumed by enhanced UI logger that track what the user is going. org.openide.awt.StatusDisplayer.DISPLAY_TIME - Status text set in StatusDisplayer is by default shown in status line of NetBeans and is hidden after specified timeout. If not overriden by this property it is done after 5000ms. O means that the last text will be shown and not removed. org.openide.awt.ActionReference.completion - If System.getProperty("org.openide.awt.ActionReference.completion") is specified, then the dedicated processor for ActionReference tries to load such class, casts it to Processor and asks it for additional completion items for its path attribute. By default, when running inside NetBeans IDE, apisupport.project registers such class and provides items representing valid paths in current project. USE_MNEMONICS - There is a way to enable mnemonics in popup menu items created via Actions factory methods in your own application build on top of NetBeans Platform. Just provide branding for org/openide/awt/Bundle.properties file and modify USE_MNEMONICS=always. Other possible values of this key include default, never or always.